On the night of our wedding, Justin’s cousin Rich graced us with the presence of his camera and photography skills. He didn’t know he was going to shoot a wedding that night (he thought he was going to capture a silly family trivia game) but regardless, he was ready with camera in hand. 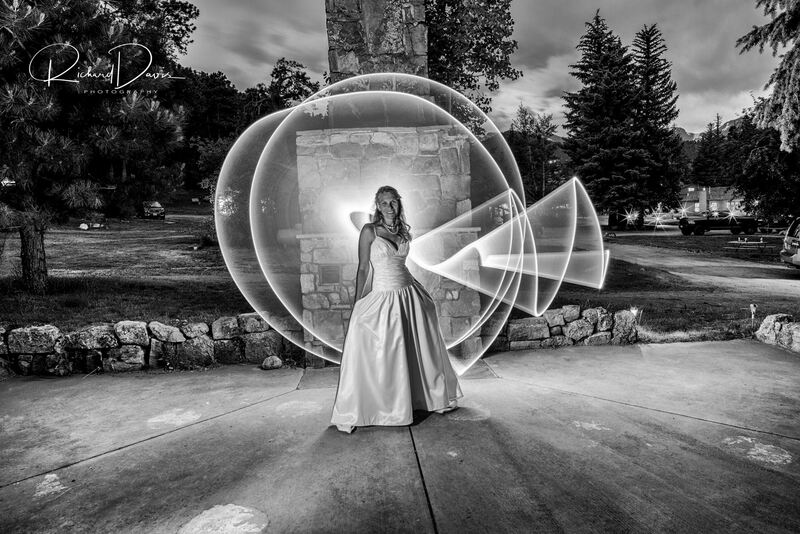 Here’s the photo he took that night of my wedding dress, with a technique called light painting. I love this photo for so many reasons – it captures the trees that rise so high into the sky at night, and the spot where Justin and I said our vows to each other, and it also captures the light that I felt surrounding and opening my heart. It was a powerful force, this light, this love, this surge of kindness. As I wrote my vows to Justin I realized so much about what it meant for us to make a promise to each other. On so many levels that promise is about love — and yet, as I’m beginning to realize, that promise is really about kindness. To hold each other so delicately and so strongly at the same time. To listen. To laugh. To love. Love is kind. And in so many ways, kindness is about spreading light. And, if you look closely at that photo, the light seems to be coming straight out of my heart. When Justin and I first reunited he played a song for me over and over again. And, you have to open the door to see the light. Wow what an awesome picture to go along with the awesome bride that you are!! Thank you!! So happy that you were there for the big event (surprise!) – just read your notes in our guest book, made me tear up!